Welcome to Aiken County, SC! There are so many things to love about this special place in South Carolina. This area boasts activities for horse lovers, art enthusiasts, history buffs, nature lovers and more. Whether you're new to the area or looking to change your current living situation, Rebecca Gutierrez is here to help. Rebecca Gutierrez's real estate career began in 2001 in the small town of Mount Airy, North Carolina, followed by nearly 10 years in Roswell, New Mexico. 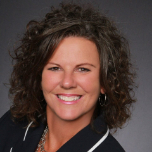 Rebecca has received numerous awards and was honored with the title of Realtor of the Year in 2009 in Roswell, NM. Although awards are nice, the more important measure of success to Rebecca is satisfied customers. She is proud to say that 75% of her business comes from repeat customers and personal referrals. She'd like to be able to add you to her list of satisfied customers! Professional Experience: Real Estate – Broker Associate: Keller Williams Realty Augusta Partners, Augusta, GA 2017 – present Broker Associate: Meybohm Realtors, Aiken, SC 2013 – 2017 Broker Associate: Prudential Enchanted Lands Realtors, Roswell NM, 2003 – 2012 Broker Associate: Preferred Real Estate, Mount Airy, NC 2001-2003 Education: BA in Technical Journalism with concentrations in Marketing & Public Relations 10+ years experience in healthcare, textile and equine industries Personal Information: Rebecca Gutierrez is an avid horse person and actively competes in carriage driving events in Aiken and the east coast. She is a member of the Aiken Carriage Driving Club and a Combined Driving Technical Delegate with the American Driving Society and the United States Equestrian Federation. Rebecca has a daughter who is also a horse girl and they are actively involved with Aiken County Pony Club.